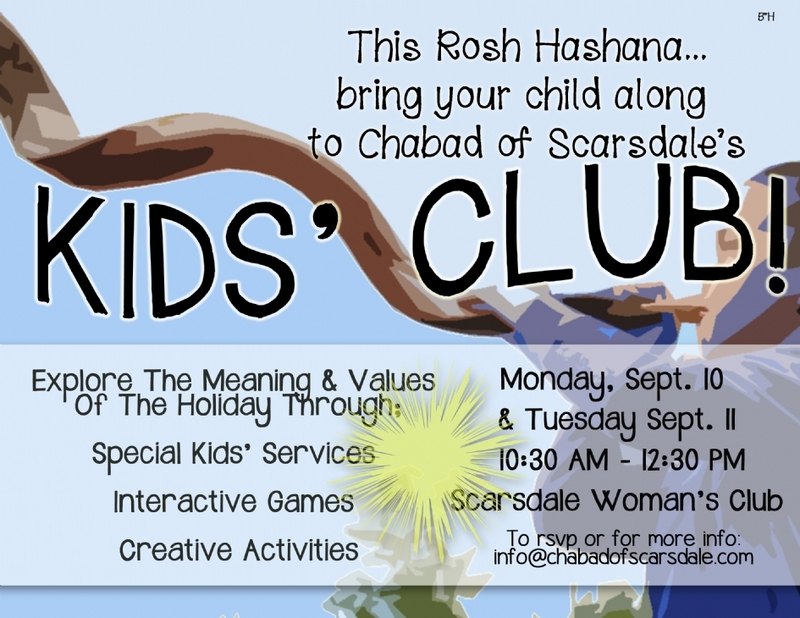 Will your children be joining the Kids Club? 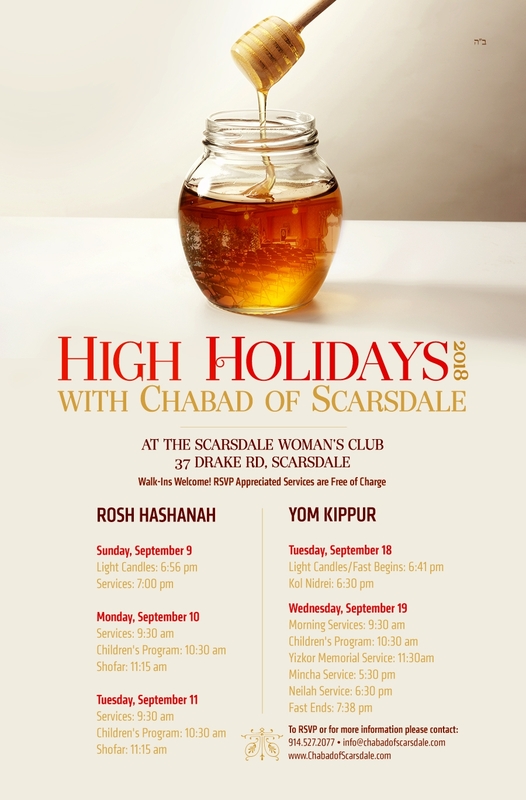 Over the High Holidays, and throughout the year, Chabad of Scarsdale runs many social, educational, humanitarian and community volunteer programs for kids, children with special needs, teens, adults and seniors. Our mission is to provide meaningful Jewish experiences, one smile at a time. Thousands of such experiences have already taken place - thanks to people like you. We are 100% locally funded - we receive no outside funding. Please help us help others, and keep our doors wide open. Thank you!